USS John Warner (SSN 785) launches Tomahawk missiles from the Mediterranean Sea on April 14, 2018, as part of a multi-national strike operation against Syria. WASHINGTON — President Donald Trump on Sunday defended his use of the phrase “Mission Accomplished” to describe a U.S.-led missile attack on Syria’s chemical weapons program, even as his aides stressed continuing U.S. troop involvement and plans for new economic sanctions against Russia for enabling the government of Bashar Assad. Stepping up the pressure on Syria’s president, U.S. Ambassador Nikki Haley indicated the sanctions to be announced Monday would be aimed at sending a message to Russia, which she said has blocked six attempts by the U.N. Security Council to make it easier to investigate the use of chemical weapons. The Western airstrikes targeting suspected Syrian chemical weapons facilities might have rained down punishment from the sky, but they will not fundamentally degrade a war machine whose main bases, weaponry and personnel remain in place. “Everyone is going to feel it at this point,” Haley said, warning of consequences for Assad’s foreign allies. Trump tweeted Sunday that the strike was “perfectly carried out” and that “the only way the Fake News Media could demean was by my use of the term “Mission Accomplished.”″ He added that he knew the media would “seize” on the phrase, but said it should be used often. “It is such a great Military term, it should be brought back,” he wrote. Trump tweeted “Mission Accomplished” on Saturday after U.S., French and British warplanes and ships launched more than 100 missiles nearly unopposed by Syrian air defenses. 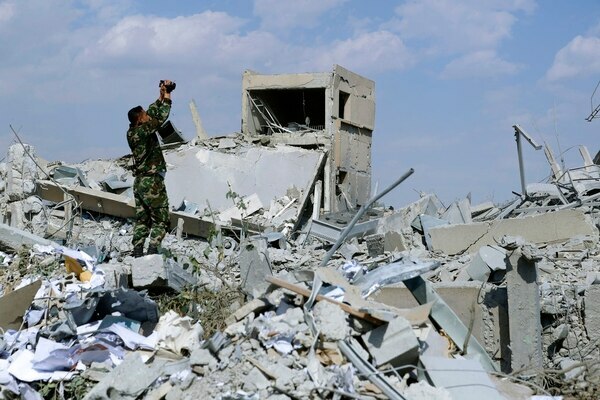 While he declared success, the Pentagon said the pummeling of three chemical-related facilities left enough others intact to enable the Assad government to use banned weapons against civilians if it chooses. His choice of words recalled a similar claim associated with President George W. Bush following the U.S.-led invasion of Iraq. Bush addressed sailors aboard a Navy ship in May 2003 alongside a “Mission Accomplished” banner, just weeks before it became apparent that Iraqis had organized an insurgency that would tie down U.S. forces for years. In heated exchanges with his national security team in recent weeks, President Donald Trump repeatedly made clear he saw little incentive for the United States to be involved in Syria’s intractable civil war. “We’re not going to leave until we know we’ve accomplished those things,” she said. 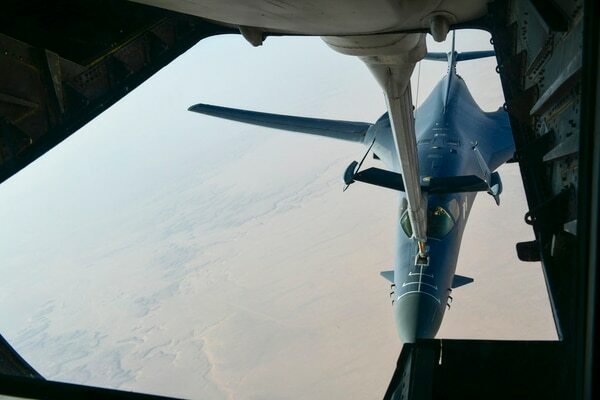 President Donald Trump is dramatically scaling back U.S. goals in Syria as he pushes for a quick military withdrawal, Trump administration officials said Wednesday, abandoning plans to stay long-term to stabilize the country and prevent the Islamic State group from re-emerging. For the second time in his presidency, President Donald Trump stared, horrified at pictures of children killed in a chemical attack in Syria. 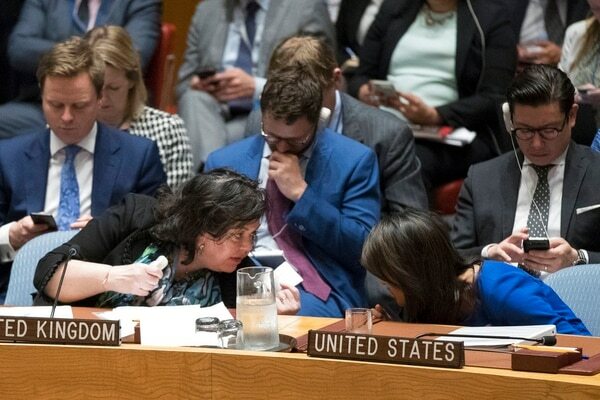 Russia and Iran called the use of force by the United States and its French and British allies a “military crime” and “act of aggression.” The U.N. Security Council rejected a Russian resolution calling for condemnation of the “aggression” by the three Western allies. “Good souls will not be humiliated,” Assad tweeted while hundreds of Syrians gathered in Damascus, the capital, where they flashed victory signs and waved flags in scenes of defiance after the early morning barrage. The strikes “successfully hit every target,” said Dana W. White, the chief Pentagon spokeswoman. The military said there were three targets: the Barzah chemical weapons research and development site in the Damascus area, a chemical weapons storage facility near Homs and a chemical weapons “bunker” a few miles from the second target. 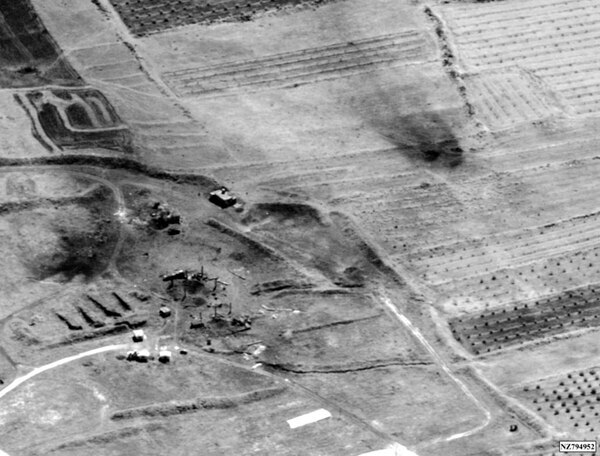 Although officials said the singular target was Assad’s chemical weapons capability, his air force, including helicopters he allegedly has used to drop chemical weapons on civilians, were spared. In a U.S. military action a year ago in response to a sarin gas attack, missiles took out nearly 20 percent of the Syrian air force, the Pentagon said. President Donald Trump speaks from the White House, and explains why he ordered strikes against Syria on April 13, 2018. Asked about Trump’s “Mission Accomplished” assertion, White said it pointed to the successful targeting of the three Syrian chemical weapons sites. What happens next, she said, is up to Assad and to his Russian and Iranian allies.